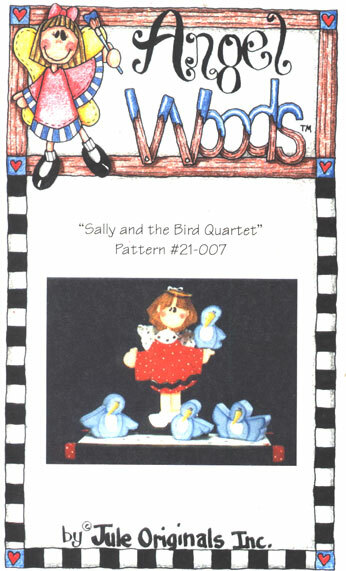 "Sally and the Bird Quartet!" 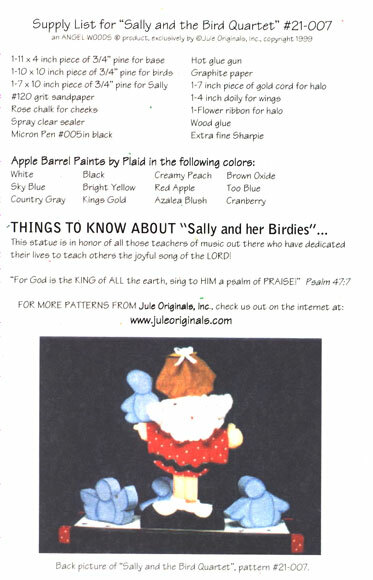 - Pattern #21-007 an Angel Woods Design from Jule Originals Inc.
Whimsical Angel Design by Julie Ann Smith. 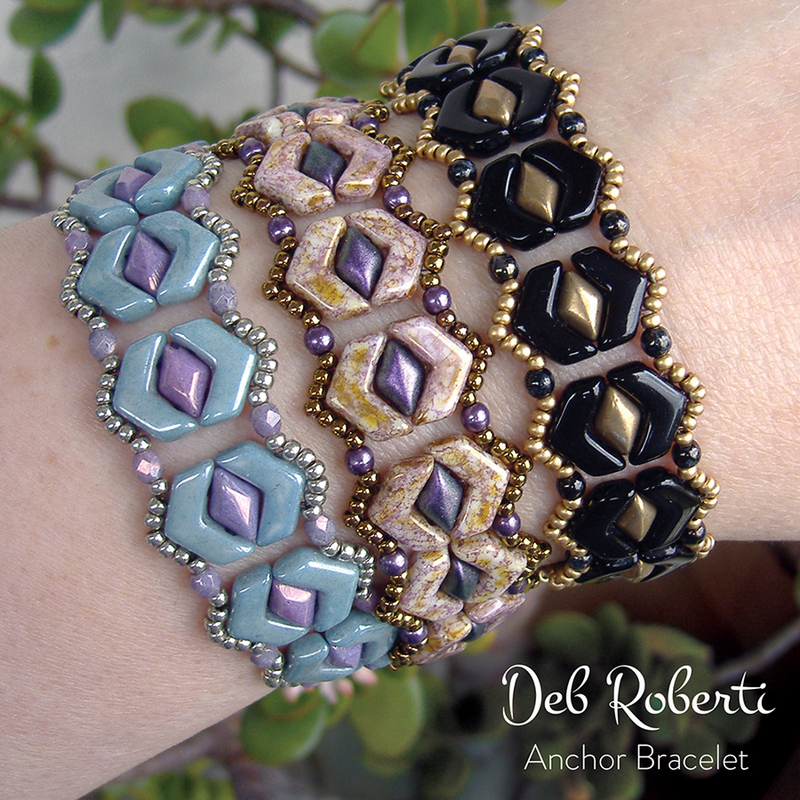 Includes; Supply List, instructions and pattern templates.